Liveaboard diving charters from San Diego to the Channel Islands, Baja, Guadalupe Island, and the Sea of Cortez can create a lot of questions. 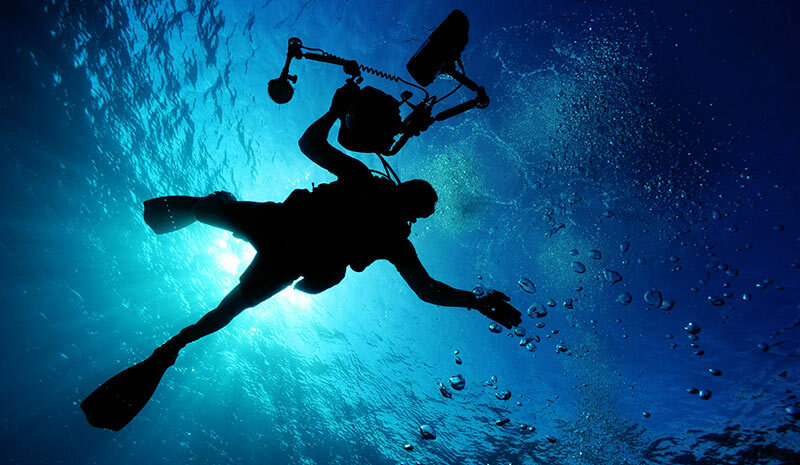 Over the many years we have been exploring and diving these unique scuba destinations we have heard them all. Before you join us on a group dive charter, a solo cage diving adventure, or a research or film and tv charter here are some of the top questions answered for you from America’s Dive Boat the MV Horizon. If you have additional questions or you just want to discuss your needs call us at 619-881-7561. Let’s dive! We provide freshly laundered sheets, blankets and pillows for all your charter needs. We encourage you to bring any special pillows from how if you would like. Be sure to bring your own towel though, that’s one thing we do not provide. What kind of tanks do you provide? We provide aluminum 80 tanks that can accommodate either DIN or YOKE valves at no charge. High pressure steel tanks (100 and 120) are available for rent on the boat. How many air fills do we get? We provide unlimited air fills during the trip. If you bring your own tank, we will fill it prior to the first dive, throughout the trip and before you leave. Do you fill high pressure tanks? Yes, we can fill to 3500 psi. How does your Nitrox work? You must be Nitrox certified. We use a membrane system onboard so our Nitrox percentage will be between 31-33%. You can use our tanks or bring your own. If you bring a O2 clean tank “YES” we can fill it but it will no longer be a O2 clean tank because we use a membrane system. When you sign up for Nitrox, there is a set price for the trip (posted online and on the boat) that includes fills for all your dives as well as a full tank when you leave the boat. If you bring your own tank, we will fill it before the first dive if you need and it will be filled before you disembark. Gratuity is always appreciated by the crew. We recommend 10-20% of the trip price depending on how you felt our service was. We pride ourselves on customer service. Do you have weights available on the boat? Yes, we carry over 1,000 pounds of lead for your travel convenience. We have 3-8 pound weights available as well as weight belts. One of the BEST questions we have been asked over the past 18 years. The short answer is yes it is. The longer answer is we have never had a cage disaster at Guadalupe Island because we practice safe shark diving. You have probably seen terrible images and video of sharks in cages. While no human was hurt the same cannot be said for the animals we have come to know and love. That’s why we always ensure bait placement is our first priority. Should I bring my own dive gear to dive with sharks? Aside from a mask and snorkel we provide everything you’ll need to cage dive with great white sharks at Isla Guadalupe. We have the wetsuits that you will need to get face to face with great white sharks, rinsed and wash for you each night. We also have weight belts tailored to your body type and even hoods and gloves if you need them! Consider us a one stop shark diving shop! Do I have to be certified to hookah dive? That’s the exciting part about shark diving for everyone…literally anyone can do it. Divers need no special certification to cage dive with sharks on hookah and we will certify you onboard. Dedicated air flows to regulators in your shark cage, all you have to do is breathe. How long is the cage diving at Guadalupe Island? We open our shark cages at first light each day and put them away again at last light. Shark divers are divided in two two main groups and each group, about 50% of the divers are diving for one full hour before we swap divers out of the cages. Once you exit you’ll be offered hot soup or a beverage to warm you back up. Then, after a light nibble on something our chef has prepared in the galley it’s back to shark diving with great whites! What if my shark cage diving trip is cancelled? In the 18 years we have been diving with sharks at Guadalupe Island we have had three trips get cancelled due to storms – that’s not a bad track record – and we always give our divers a free trip back good for two years from the cancelled trip. We promised you great white shark and you’ll get great white sharks! Should I get trip insurance for my shark trip? You bet! There are several travel insurance companies online that do a great job of giving you peace of mind for things like delayed flights, or sickness. Additionally, many credit card companies offer built in trip and travel insurance so check with your card company when you book. We have set dates we leave San Diego to go shark diving and we always leave on time, if you’re not there we cannot hold the boat so get the trip insurance! How many white sharks will I see? Since 2000 we have noticed more white sharks each season at Guadalupe Island. Typical trips on the early season August – October see the most sharks per day averaging 10+ animals a day. Later in the season we call the Time of the Titans when the REALLY big females come in, fewer sharks this time of year but a chance to dive with Deep Blue, arguably the biggest great white shark in the Pacific ever seen and recorded. Will I get white shark photographs for use on social media? Shoot everything, don’t wait for the perfect shot when you can find the perfect shot later. Shoot 4k video. You can pull stills from 4-5k Go Pro video that’s as good as a single shot. Make sure you have enough housings and batteries. Have fun, shark cage diving and underwater photography should be fun. How much cage diving time can I expect? Shark cage diving time for our guests average between 15-2o hours three days of diving. This is due to our cage capacity and our limited amount of guests. Unlike some great white shark operators who only offer 45 mins in total, on our trips, by the 3rd day we often see divers sitting out rotations out of choice as they have simply seen so much. Are the white sharks big at Guadalupe Island? In places like South Africa minnow sized white sharks are the norm. At Guadalupe Island we have Deep Blue, perhaps the largest shark in the Pacific at 20 feet in length. Typically thought we encounter male white sharks between 9 – 16 feet and the females between 12 – 20 feet. Current shark research suggests our sharks visit the island to breed so most of the sharks we see are mature animals. What is special about the great white sharks at Guadalupe Island is not only their size but also their girth. Chef prepared meals on board? Catering to every diet and taste our Chef prepares meals to remember. You’ll be enjoying 3 full and varied meals a day, with all the snacks you can eat, and beer and wine included. Depending on your diet we are very flexible and will cater for whatever your requirements are including vegetarian options. Put simply, the food on this trip is as memorable as everything else and you will not go hungry.